A Savage Country is the final instalment in Paul Moon's trilogy of popular histories on the decades surrounding the signing of the Treaty, and follows his bestselling book on cannibalism in New Zealand, This Horrid Practice. New Zealand in the 1820s had no government or bureaucratic presence; no newspapers were published; the literate population was probably no more than a couple of dozen people at any one time. Early explorers' assessments of New Zealand were haphazard at best - few knew what to make of this foreign land and its people. 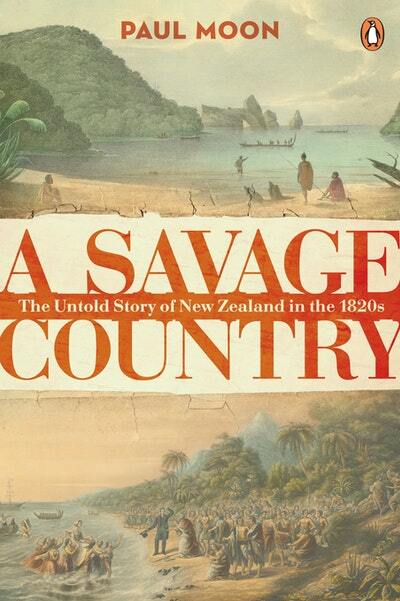 In this groundbreaking history of early New Zealand, Paul Moon details how so many of the events in this decade - the introduction of aggressive capitalism, the arrival of literacy and the beginnings of Maori print culture, intertribal warfare, Hongi Hika and the British connection, colonisation as a simultaneously destructive and beneficial force - influenced the nation's evolution over the remainder of the century. Moon leaves no stone unturned in his examination of this dynamic and fascinating pre-Treaty era. Surprising and engaging, A Savage Country does not merely recount events but takes us inside a changing country, giving a real sense of history as it happened. Love A Savage Country: The untold story of New Zealand in the 1820s? Subscribe to Read More to find out about similar books.